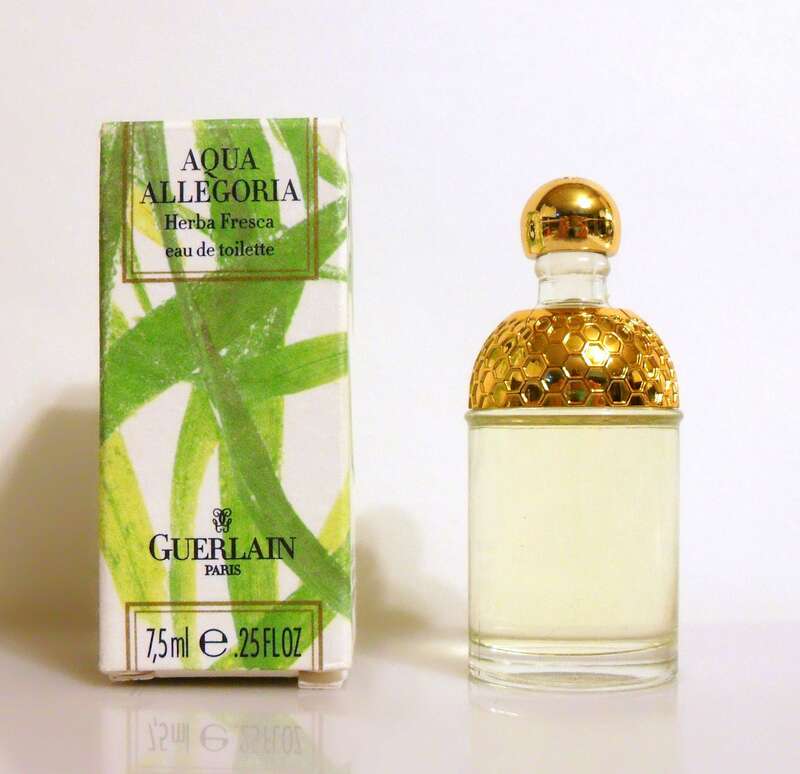 Vintage 1990s Aqua Allegoria Herba Fresca 0.25 oz Splash Miniature Perfume and box. The bottle is full of the original perfume - see photo for actual fill line. The perfume is old and no longer fresh. The batch code is DA2BA which corresponds to November 1999. Herba Fresca is like a barefoot summer's walk in the early morning, in a dew-damped garden where the first fragrances of grass rise from the soil, blending with the scent of mint, fruit trees and wild flowers. 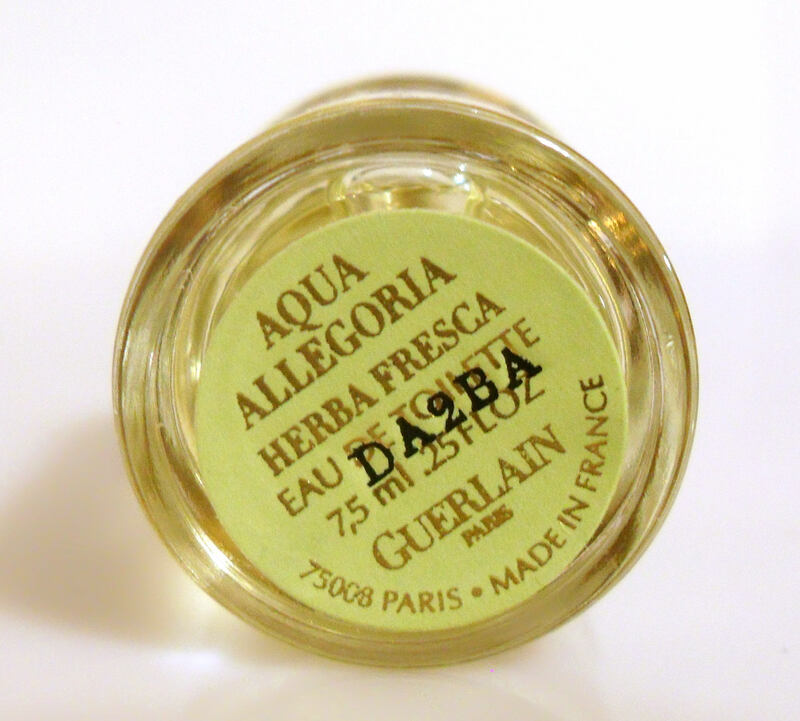 It is described as an aromatic green fragrance.